We have seen several “funny” things occur during the January move higher in equities. 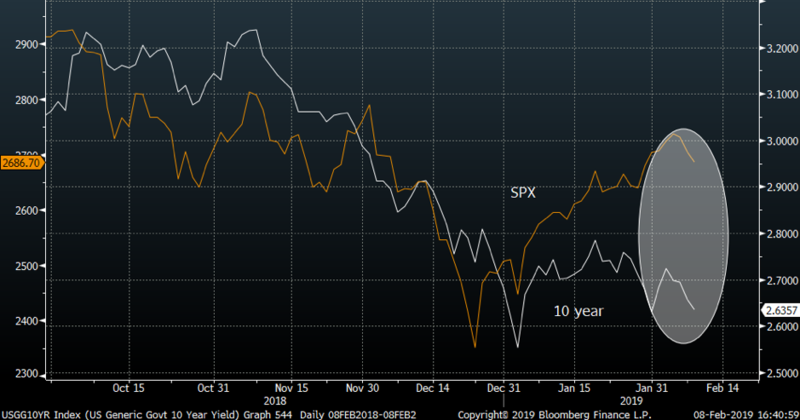 One of those is that when US 10-year yields went up, the SPX went up, when the went down, the SPX went still up. The two have moved in tandem since October, but during the January we have seen a rather big divergence take place. Let’s see who catches up to the other.